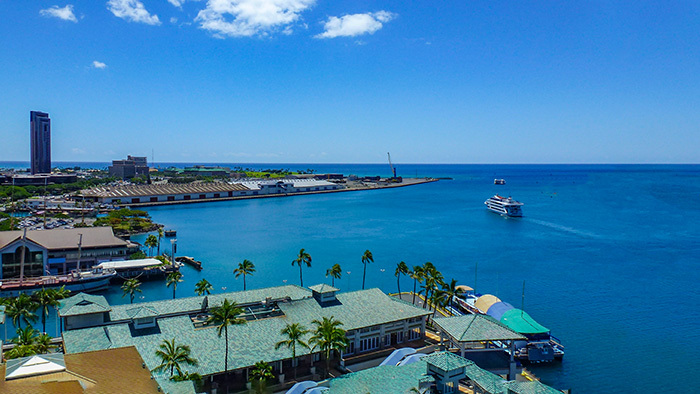 As the evening approaches, the Star of Honolulu glides over serene blue waters into the breath-taking horizon. Fluffy white clouds turn to pink and fiery red in the setting sun. You and your family will be taken on a stunning journey across the Waikiki coastline. You can do all of this while watching skilled entertainers dance and sing. At the same time, you can enjoy a gourmet meal and indulge in the beauty of a Hawaiian sunset on the water. This may be the best Honolulu dinner cruise that you can find. The Star of Honolulu Dinner Cruise has a variety of dining options available tailored for your specific preferences. Not sure about choosing between a casual, delectable 3-course cuisine or a lavish 7-course meal of French finery? You won’t have to worry as there is not a mediocre menu item on the list. All options include coffee and tea, dinner, cruise fee, entertainment and at least one alcoholic beverage. The excursion time is usually a total of 4.5 hours. Thinking about spending your honeymoon in Hawaii? Planning a rehearsal dinner for your wedding or simply enjoying quality time with family and close friends. If so, there is nothing more bonding the breaking the finest bread together on a tropical Hawaiian dinner cruise. Cherish these memories forever on this unforgettable sunset cruise. Let Panda Travel ® help you bring your Hawaiian vacation to a dynamic and euphoric close. 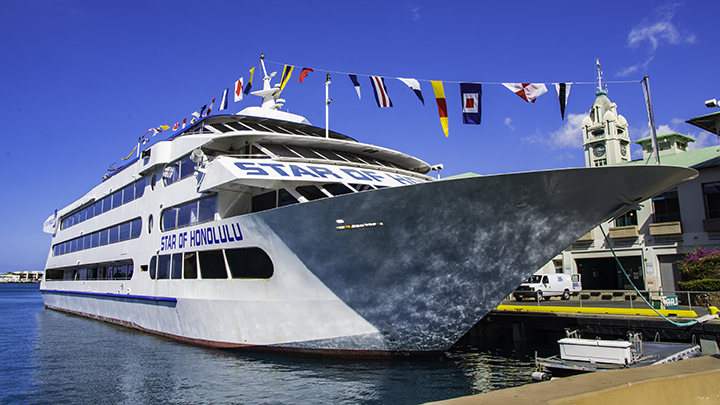 Time will stand still as you savor every last moment aboard the Star of Honolulu. We are happy to help you book any of the dining options, including any amenity or special arrangements you’d like to add to this travel package. Contact us today toll-free at (800) 303-6702 to see how we can make your Hawaiian vacation the best holiday you have ever had.